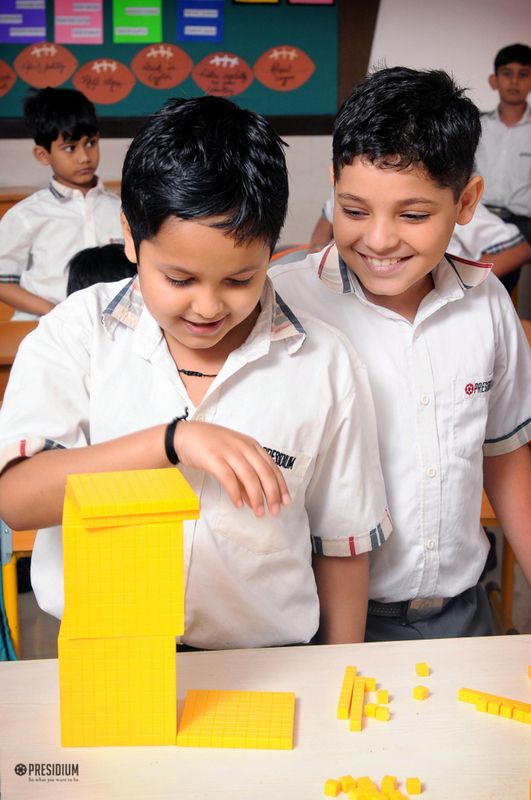 Presidium Raj Nagar strongly emphasizes on experiential learning and encourages the use of tools and techniques to implement it. 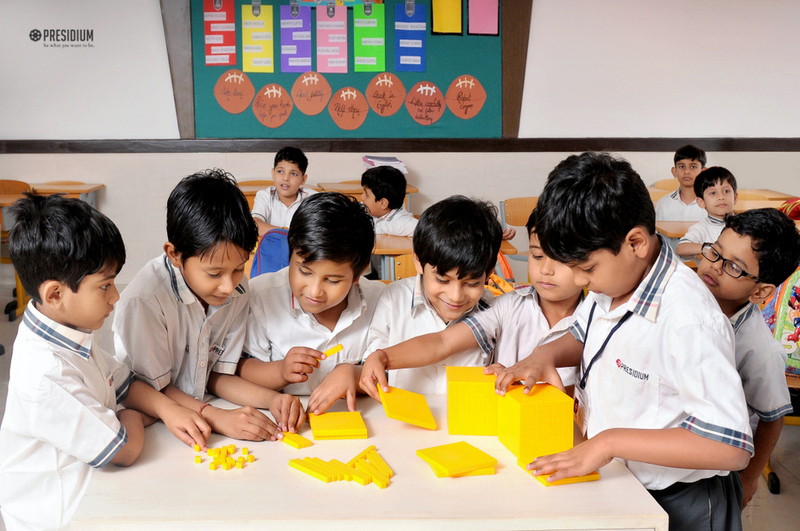 Keeping the same view in mind and in order to promote the use of innovative ways for developing number sense, mathematical concepts and reasoning, a 'maths activity' was recently organised for our grade 3 students. 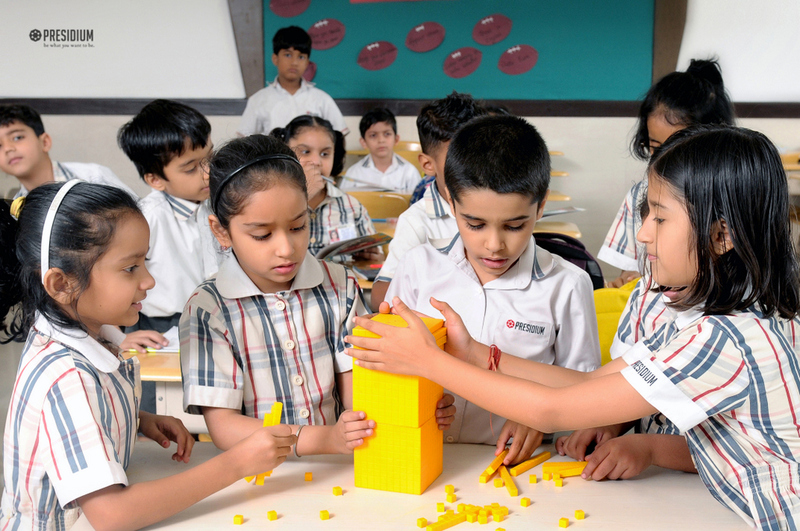 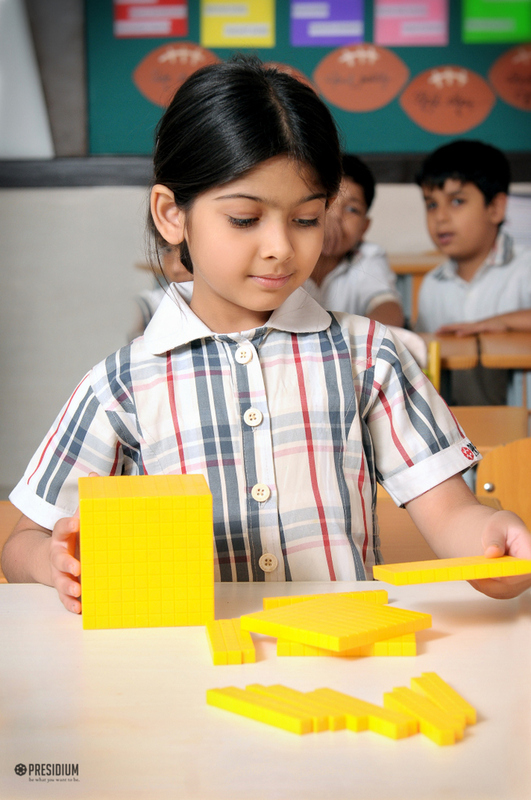 The young Presidians used Dienes Block to solve a division problem, which promoted critical thinking, problem solving and analytical skills. 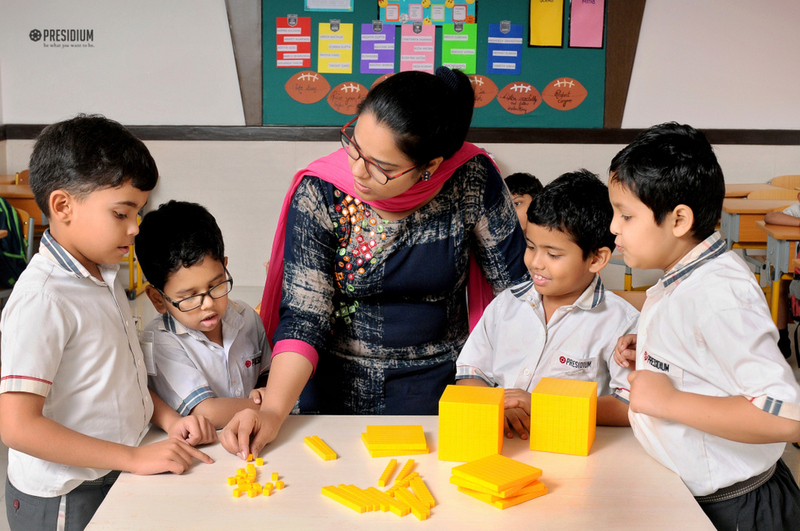 The fun-filled and knowledgeable activity was thoroughly enjoyed by the students as it eliminated the fear of mathematics from their hearts.